Tell me what you're loving! And which trends you are excited to try! 1. Preheat oven to 300 degrees. Line a baking sheet with parchment or spray with baking spray. 2. In large bowl, combine oats, brown sugar, cinnamon and salt. 3. In medium bowl, whisk together syrup, coconut oil and vanilla extract. 4. Pour mixture over dry ingredients and stir to combine. 5. Spread out in even layer on baking sheet. 6. Bake for about 1 hour, stirring every 20 minutes. I have another meatless recipe to share! Lately I've been cooking more vegetarian meals, plus I have never really enjoyed working with raw meat at home anyway. 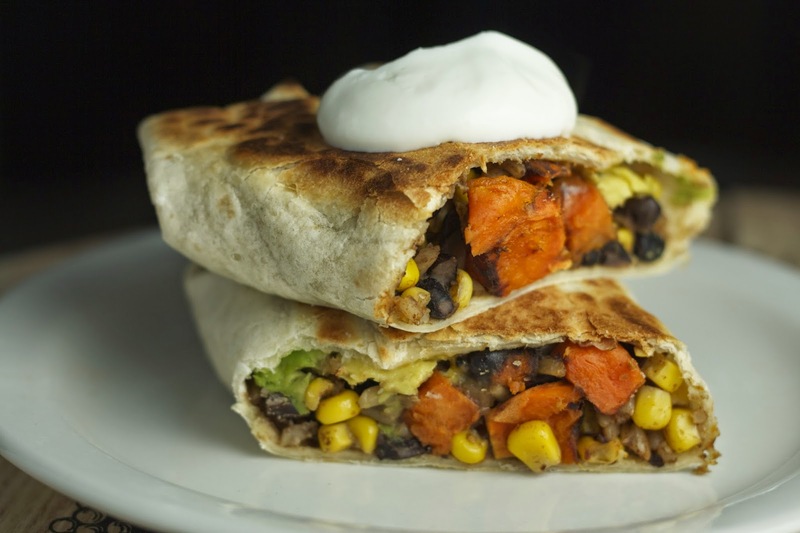 This recipe is inspired by the sweet potato and black bean burrito from Beans and Barley, an awesome, locally-owned market/deli/cafe in Milwaukee that I used to frequent when I lived there. It turned out to be just like the one from the cafe - very flavorful and delicious! I love the the combination of black beans and sweet potatoes, and the Mexican flavors complement them well. Don't skip out on the dipping sauce either- it really makes it! I also love how toasting them in the pan makes the tortillas nice and crispy. These were very easy to make, and they are super easy to refrigerate or freeze for leftovers! 1. Preheat oven to 375 degrees. Place sweet potatoes on baking sheet, spray or toss in olive oil, sprinkle with salt and pepper. Roast for about 45 minutes, stirring halfway through. 2. After potatoes are done, heat a large saute pan over medium heat. Add in sweet potatoes, corn, black beans and rice (after rice is heated in the microwave). 2. Add in spices and salt, heat over stove for about 10 minutes. 3. Heat saute or grill pan over medium heat to toast the burritos. 4. Heat the plain tortillas in the microwave for about 30 seconds to warm to make them easier to stretch. Spoon in rice mixture into tortilla, add avocado and a spoonful of cheese and wrap burrito. 5. Add burrito to grill pan, toast on each side for about 5 minutes. 6. Mix yogurt with lime juice as a dipping sauce. 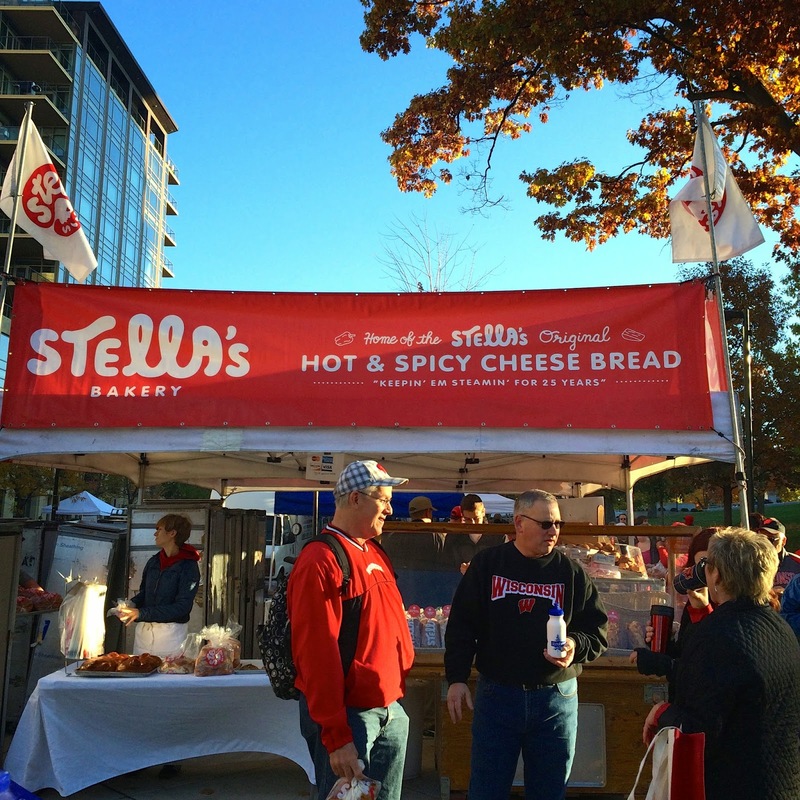 Anyone who has spent time with me in Madison, Wisconsin knows that I have a deep (slightly unhealthy) obsession with Stella's Hot and Spicy Cheese Bread. Stella's is a bakery in Madison, but they sell their bread at the farmer's market on the Capitol square on Saturdays mornings - and if I'm there, I HAVE to pick some up (to share, of course - and preferably on the way to a Badger football game). 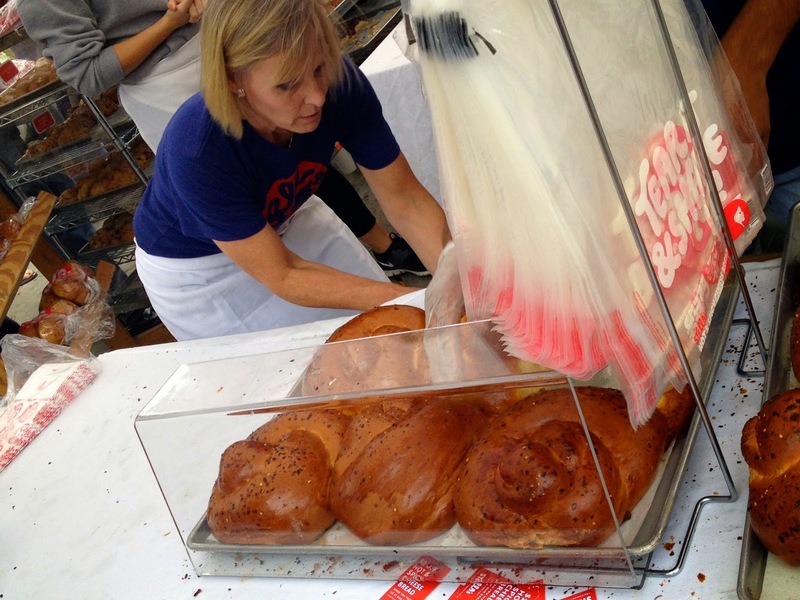 Served warm, it's quote "the perfect buttery blend of red pepper, chives, provolone and monterey jack cheeses, and our secret sweet dough that melts in your mouth." Say no more. 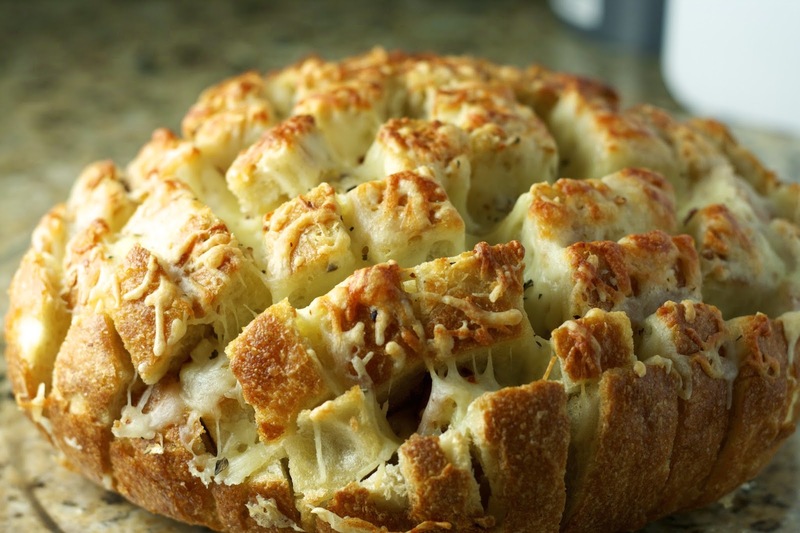 I had to attempt to recreate it at home, but instead of making the dough from scratch, I followed this pull-apart bread recipe and altered it a bit. It wasn't quite like getting a warm loaf from the farmer's market, but I will say it was a good stand-in when I can't be there! There is nothing not to love about warm, cheesy goodness. Perfect for a tailgate or football watching party! 1. Preheat oven to 350 degrees F. Spray a sheet of foil with non-stick cooking spray and set aside. 3. Combine the cheese, chives and red pepper flakes in a bowl, set aside. 6. Open the foil and sprinkle the shredded cheese on top of the bread. Push down as much as you can in between all of the crevices in the bread. Leave the foil open and return it to the oven. Bake until the cheese is completely melted, bubbling and starting to brown on top, about 15 minutes. Let stand for 5 minutes before serving. 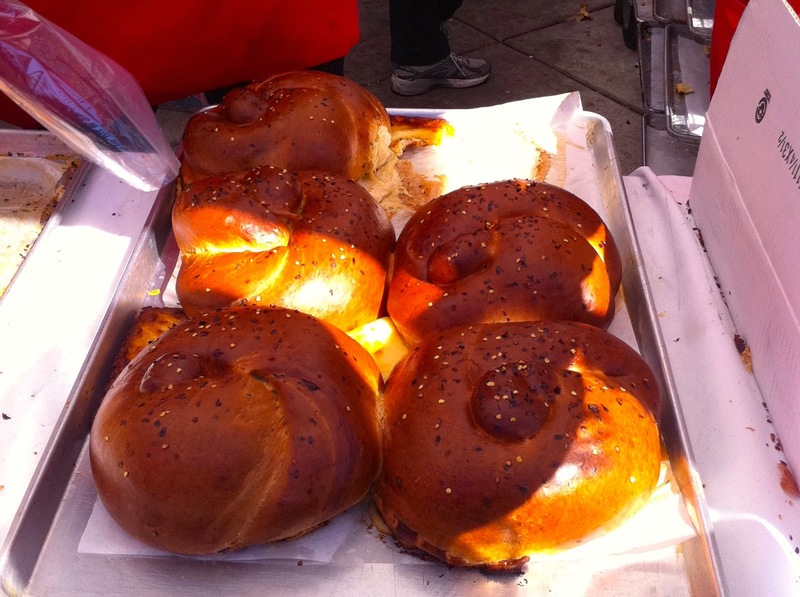 If you're looking for a recipe for the loaf from scratch, try this! I have a great recipe to share on this Meatless Monday! This one was introduced to me several years ago by one of my vegetarian friends. You will not miss the meat in this at all - and you don't even have to cook any pasta. 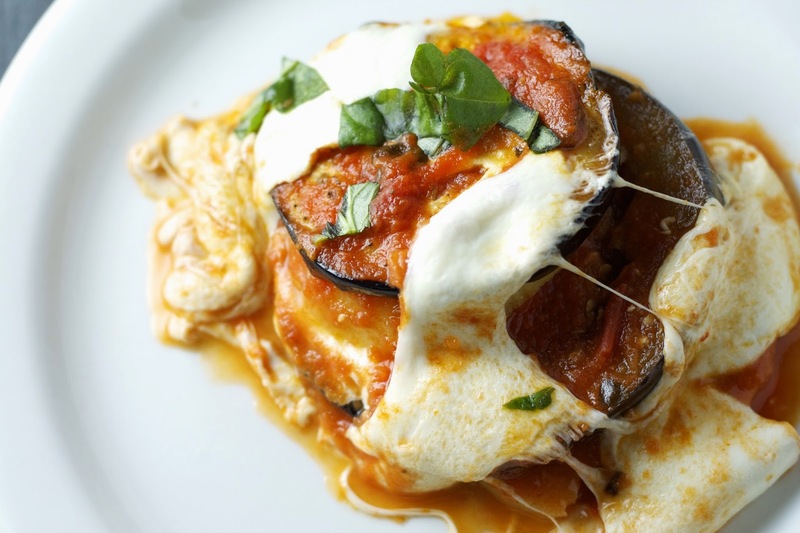 Simply layer eggplant, polenta, sauce and cheese and then bake. Super simple and delicious! You could easily add additional veggies in, or even a layer of pesto would be good! 1. Slice eggplant and polenta into 1/4 inch slices. 2. Lightly panfry both eggplant and polenta slices in olive oil, set aside. 3. Spread a thin layer of sauce on the bottom of a 13 x 9 pan. 4. Arrange a layer of polenta on bottom of pan. Follow with eggplant, cheese and sauce, continuing to alternate layers. 5. Bake at 375 for 35-40 minutes. Let cool, top with fresh basil. *Note: You can use shredded or block mozzarella instead of fresh. 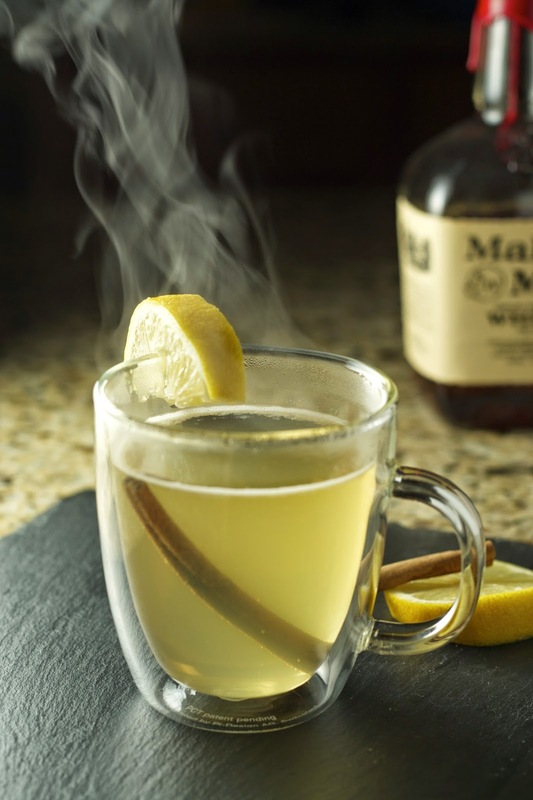 January 11th was official "National Hot Toddy Day", but I will go ahead an unofficially declare the entire month of January as National Hot Toddy Month :) Healthy or not, enjoy a warm Hot Toddy this weekend! And if you are sick, let me know if it helps! Put bourbon, honey, cinnamon stick and lemon juice in a mug. Top off with hot water and stir until honey is dissolved. 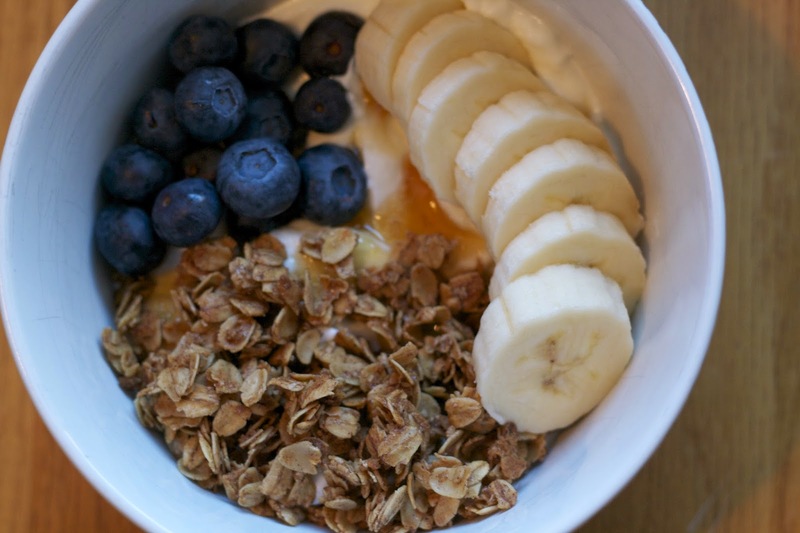 I don't know about you, but the new year is always a reminder to get healthy eating back on track. I don't really do resolutions, but January is always a good month to get back into a healthy routine. Eggs are a great healthy breakfast that always keep me full all morning, but I don't always have time to cook them. Enter: egg muffins. This idea is not new, but it was my first time trying them. They are super easy, you can use whatever ingredients you have on hand, and they reheat really well! You could easily use whole eggs, but I chose to buy a carton of egg whites since it was so simple. I chopped up some spinach and broccoli, added some sun-dried tomatoes and of course, some cheese. You could add in meat if you want (bacon, ham, etc) or whatever other combo you'd like. It was great to have these on hand to heat up for breakfast for the whole week! any additional ingredients you have on hand! 1. Preheat oven to 350 degrees. Spray muffin pan with nonstick spray. 2. 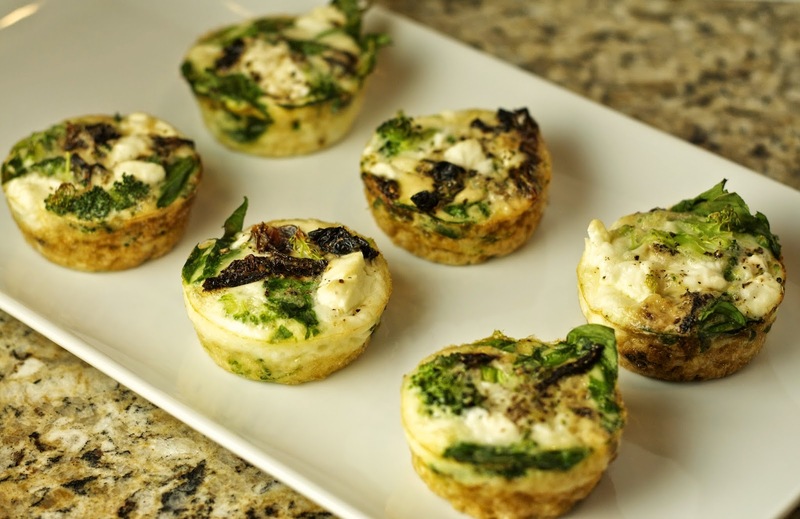 Distribute veggies and cheese into each muffin tin. Pour egg whites over ingredients so they fill to the top. Sprinkle with salt and pepper. 3. Bake for 25-30 minutes, or until eggs are cooked through. Hi! I'm Carly, and I'm here to share all of the things that I love - good eats, beauty products, style and fitness - in hopes of spreading my joy. Please share with me what makes you happy!